Respecting the instituted practice, we- Presidents of Montenegro, Croatia, Serbia, together with the President of Presidency of Bosnia and Herzegovina – took part in the 14th session of Igman Initiative, which was held in Milocer, on October 16th 2006. 1. 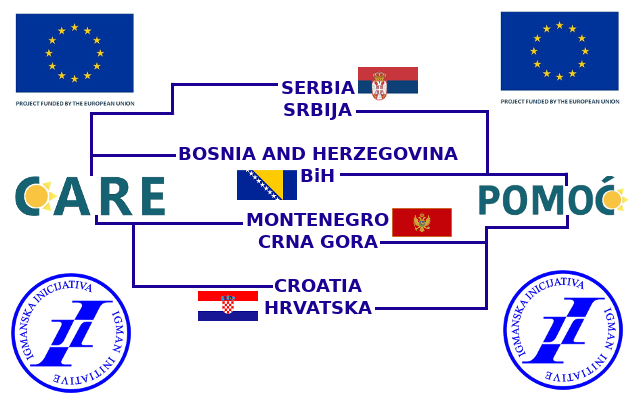 Good and developed neighborly relations between Croatia, Serbia, Montenegro and Bosnia and Herzegovina, based on principles of equality, mutual respect and non-interference in domestic affairs, are of great importance for each of our countries, as well as for peace, stability, overall development of the whole region and progress in Euroatlantic integrations. Therefore, we confirm our resolve to patiently and insistently work on remediation of consequences of war that lead to the brake-up of former Yugoslavia, as well as on further improvement of mutual relations. 2. We shall continue, devotedly and responsibly, to work on the issues of facing the truth about the past events, especially the recent past, as well as to work on teaching young generations, in order to turn ourselves towards the future, completely and without any encumbrances. 3. We shall step up the pace of the process of creating conditions for the return on refugees and displaced persons who wish to return, as well as the process of providing economic and social security for their stay and reintegration, while expecting continuous support from the international community. 4. We shall continue to encourage ethnic communities and minorities to foster and promote their ethnic and cultural specificities in order to become the integral part of the society and the country where they live, as a contribution to the enrichment of the material and spiritual culture of that country, as well as a contribution to the reinforcement of bridges of trust, cooperation and friendship between people, communities and countries, to the political and social stability of each state in this part of Europe. 5. We shall secure full and permanent cooperation at all levels in a joint engagement in the struggle against organized crime and terrorism; for this purpose we shall collaborate with relevant international organizations to strengthen our countries’ capacities and harmonize with the legislature, practice and bodies of European Union, as well as with other institutions in this field. 6. We shall provide all necessary support for the operation of the Hague Tribunal, for the purpose of bringing the accused before this Tribunal, creating conditions for the fulfillment of its primary mission, which is the individualization of guilt for the crimes and the abolishment of collective guilt and responsibility. In this way, we shall also secure the conditions and the support for efficient and fair proceedings and trials for war crimes before national courts. 7. We shall take steps to remove the barriers that obstruct free movement of people and commodities between our countries and by constantly improving transportation and all other means we shall maintain the sustainability of visa-free regime in the region for the citizens of our four countries, as well as towards other countries of Europe and the world. 8. We shall make our contribution to the process of finding solutions for other open issues that trouble our region, with the support from European Union and other international bodies. In this way, we shall also promote the dialog and the agreement that opens the best perspectives of development and integrations in broader Euroatlantic processes. 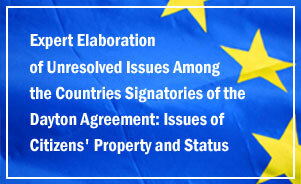 After the ceremonious part attended by Presidents of countries covered by Dayton Agreement, working sessions have begun, where members of Igman Initiative had the opportunity to analyze their previous activities and discuss about future work.